The Golden Years have lost their shine for a crucial group of older men. Can you help these clients savor life again? Retirement may be dangerous to your health — especially if you’re a man. A growing body of research has found that retirement significantly increases the risk of clinical depression and even suicide among men. As an advisor working with retirees, you may be a witness — and sometimes an unwitting accessory — to lives whose joy is sapped by depression. If these afflicted clients are men, you will probably have to take the lead in encouraging them to seek help because they won’t volunteer that they need it. The most typical cause of depression in older men is loss, according to Alan Berman, Ph.D., ABPP, who is executive director of the American Association of Suicidology in Washington, D.C. He explained that men who have attached their sense of identity and value to their work can become depressed in retirement if they can’t successfully transfer that attachment to new interests. Other losses — the death of a spouse or peers, loss of work relationships, moving away from lifelong attachment to home and friends — often lead to loneliness and sadness. A man confronting a serious illness or signs of mental decline may become depressed by the prospect of dependency. When this kind of crisis hits a man, not only does the masculine agenda he’s lived by his whole life fail him, but he often has no network of support to lean on. As Real pointed out, “Many men on the road to success have worked very hard, sometimes at the expense of their family, friends, recreation, health. So when the man turns to these relationships, he may be troubled, or he simply may not have the richness of social connection.” Apathy or negativity can become chronic or turn into an ever-deepening spiral. The essence of traditional masculinity, he suggested, is invulnerability. The more vulnerable you are, the less manly you are. “This sets up what I call compound shame,” he said. “Men get ashamed about feeling ashamed, about feeling depressed. A depressed man is not only ‘weak enough’ to be overwhelmed, which is unmanly, but he’s overwhelmed by his own feelings. So there’s the double stigma of having an emotional disorder and being weak.” By contrast, a depressed woman has to deal with the stigma of having a disorder, but it’s not considered unwomanly. As a result, many men hide depression from their family members and others. “This is a great tragedy because depression is one of psychiatry’s success stories,” Real said. “Studies show that 90 percent of people who get help with depression through therapy and often medication report substantial relief. But fewer than three out of five depressed people get help.” Tellingly, only about 20 percent of therapy clients are men. Some of the classic signs of depression are feeling blue, losing one’s sense of pleasure and joy in life, changes in sleeping or eating habits (too much or too little) and fatigue. Men may also express depression through signs that aren’t as common among women, such as increased drinking, a marked increase in irritability and aggression, or what Real calls “radical isolation”: a significant withdrawal from other people and life. Depression may also manifest itself in changes in a client’s personality, personal hygiene and ability to make financial decisions, in sexual dysfunction and sometimes in memory problems. Women tend to be more outwardly emotional, while men tend to internalize their feelings. Ken Donaldson, a licensed mental health counselor in Seminole, Fla., who is a certified relationship coach, warned that while symptoms like memory loss, confusion, social withdrawal, loss of appetite, weight loss, sleeping disturbances and bothersome aches and pains could be due to depression, they may have another physical cause. “A number of things can mimic depression as a man gets older,” he said. “It could be the beginning of dementia or Alzheimer’s; it could be many things.” In particular, he pointed out, men go through hormonal changes as part of andropause. When testosterone levels drop, the symptoms can resemble depression, but treatment for depression won’t produce the desired improvement in mood. Donaldson advised that men who feel depressed should ask their general practitioner for a check of their testosterone levels. “Sometimes taking prescribed testosterone can raise the levels and remove the symptoms,” he observed. Berman’s experience in the suicide prevention field prompts him to broaden the symptomology for older men with depression. They may also show evidence of a “depletion syndrome,” he said: lack of interest in previously enjoyed activities, self-medication with alcohol, hopelessness and thoughts of death. In concert with signs of increased anxiety such as agitation, fidgetiness or insomnia, depletion symptoms are of particular concern since they are associated with increased risk for suicide. “The first thing advisors need to do is to stop colluding with the shame around depression,” Real said firmly. “We get afraid to confront a depressed man. We’re afraid we’re going to make him even more fragile, or that he’ll blow up.” He urged that advisors imagine themselves dealing with a depressed friend or relative. Wouldn’t it be a great service to open up the conversation? When a male client is worried that admitting to depression will make him seem unmanly, how can an advisor get him to open up about what’s going on? You can then mention some of your observations and suggest tactfully, “I’m a little concerned that there might be some depression there.” This message may well meet resistance, Donaldson said, so even if you think there’s a lot of depression, try to minimize it when you first mention it. Often the client’s wife is there and can confirm the symptoms. 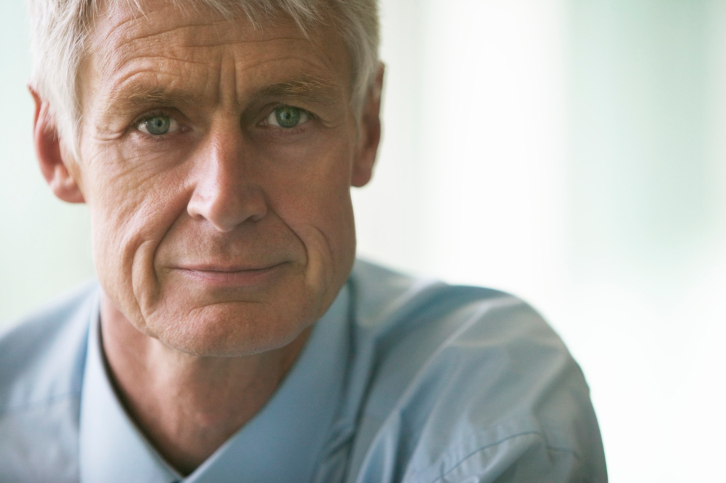 Older men’s risk of suicide is highest at two points, Donaldson said: early in retirement and after the loss of a spouse. While it’s wise to be especially alert for indicative behavior at these times, don’t beat yourself up if you miss early warning signs. Studies indicate that even many trained professionals miss suicide risks. Statistically, men commit suicide at four times the rate women do. The older they get, the higher their suicide rate. Between 65 and 85, the rate actually doubles. “If you’re concerned about a client,” Berman advised, “it’s essential to help him seek help, first for an evaluation and treatment, and second for an assessment of suicide risk. Psychotherapy and medication, in combination, can be quite prophylactic in older age groups.” Because getting older men to seek and accept help may not be easy, he recommended that an advisor solicit their support system, if possible, in order to help them get assistance and adhere to treatment regimens. More information and resources are available online at www.Suicidology.org. Provide information about depression. This could be as simple as sharing an article about the symptoms of depression with the client. Donaldson suggested two websites: the National Institute of Mental Health and the National Alliance on Mental Illness. Ask a counselor or therapist for advice. It’s great for advisors to have some mental health professionals in their network whom they can contact for advice and guidance. “There are a lot of financial advisors who are teaming with mental health professionals and seeing clients conjointly, and I think it provides a much more holistic approach,” Donaldson commented. Involve a professional who specializes in issues affecting older people. “My experience is that most advisors don’t want to touch the issue of depression or suicide risk with a 10-foot pole,” said McCabe, a charter member of the National Association of Geriatric Care Managers. “In those cases, it can be useful to involve someone like me. We’re trained to guide the conversation in a way that will provide clues about whether clients are experiencing some high degree of stress. When McCabe is invited to sit at the table with older clients or their adult children, he opens the conversation to broader issues like their health history and the nature of their living environment. For example, is the home an appropriate place for Dad to live? If the older person will need to move somewhere against his wishes, it can create a level of stress that needs to be resolved. Another touchy issue is transportation. “One of the biggest hits for an older guy is when he has to quit driving,” McCabe said. Also, he noted, there are more sources like his practice to advise planners. Eldercare Resources can connect advisors with support in such areas as health care, housing and transportation, as well as community services (because, he noted, isolation is one of the reasons men get depressed). It’s smart to maintain a list of similar resources in your locale.